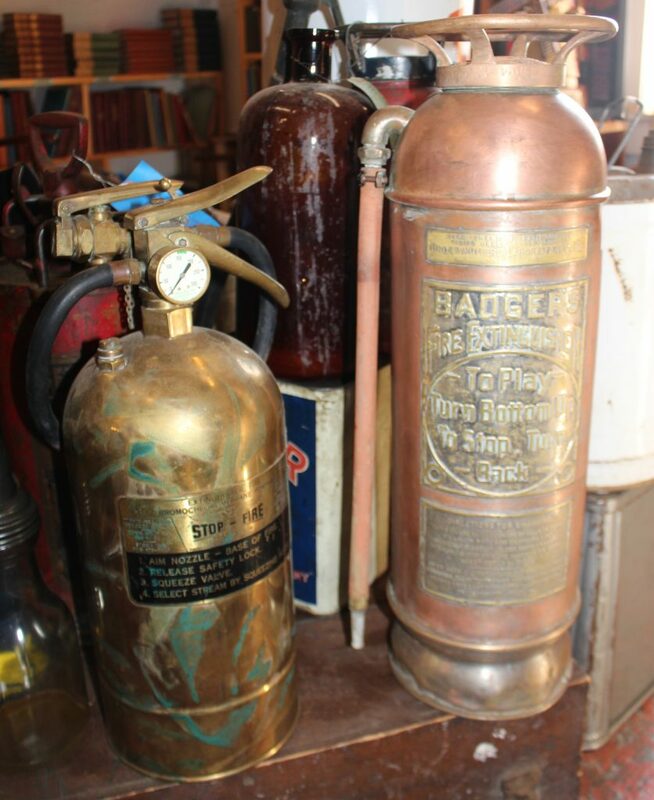 With thanks to the Bartenders Friend metal cleaner, we bring you these vintage fire extinguishers! The brass extinguisher is 125 and the copper extinguisher is 145. Both are in great (and shiny) condition!